The closest Tropical Island Paradise to Nadi and the Coral Coast offering an absolutely unique Cultural Experience. 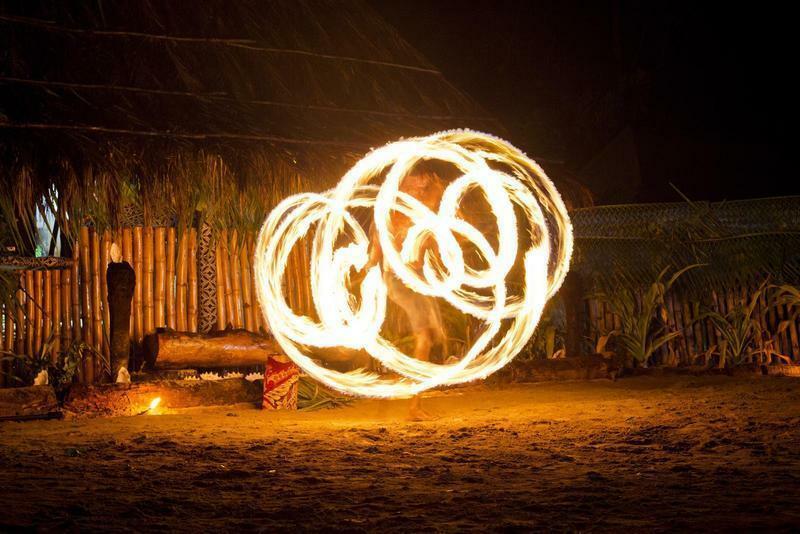 Famous for it's spectacular authentic Island Dance Shows with some of Fiji's best Fire and Knife dancers. Feel the rhythm, experience the customs, culture & cuisine of Fiji. 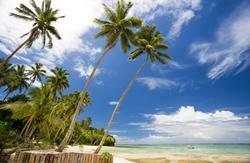 Robinson Crusoe Island is a secluded Fiji Beach Resort with modern affordable accommodation. Spectacular entertainment, sensational staff, stunning diving and fishing with free snorkeling and sea kayaks. Enjoy a drink at the Wreck Bar or laze on the lagoon. Enjoy sumptuous island feasts, with the freshest produce and the finest cuts of meat from our own butchery. Our amazing staff will absolutely delight you, you may arrive as a guest but we are certain you'll leave feeling like you are part of the Robinson Crusoe Island family. Robinson Crusoe Island is approximately 45 minutes drive south of Nadi, then a 30 minute boat ride to the island. We have a standard pick up timetable. Bus pick up from and drop off to various Nadi town and Coral Coast locations. Alternative check out times can be arranged at extra cost.Please contact us for more information.